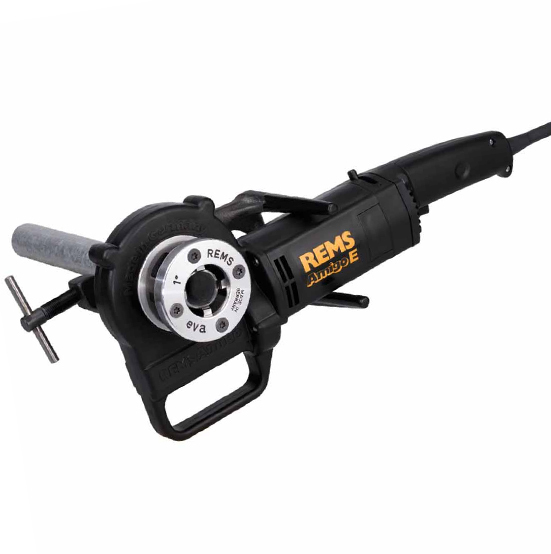 The REMS Amigo E is an extremely lightweight, portable threader, specifically for use with conduit pipe between 1/8 of an inch and 1 inch. Whereas other threaders will provide larger width ranges to cut deep into usually thicker pipe, the Amigo E has been designed to be as lightweight as possible. This removes the need for clamps and vices; any in situ conduit pipe that needs threading is within your reach. If you’re looking for an easier way to thread smaller, conduit pipe, without the risks of damage that can occur with manual conduit threading, then this is the hire for you.